Encourage home buying in Nevada through the State of Nevada Housing Division. With lenders, REALTORS,® and other housing organizations crowding the market with messaging, first we needed to break through. Second, in the post-mortgage and foreclosure crisis days, we needed to come off as a credible resource that was also approachable. We developed a recognizable, approachable brand under the Home Is Possible (HIP) moniker to encourage potential homebuyers to enter or re-enter the market. The brand’s winning personality — and generous program benefits — struck a chord with target audiences. Primary audience: low- to middle-income millennials, boomerang buyers and veterans. Secondary audience: the lenders and real estate pros who help Nevadans navigate the HIP program. Online mediums were used predominantly to grow brand awareness — including a website, videos, and social media — with supporting collateral for lender and real estate partners. Facebook fans increased 93% from 2014 to 2017, averaging 21% growth each month. Twitter followers increased 86% from 2014 to 2017, averaging 63% growth each month. The proof of cost effectiveness is in the tasty ROI pudding. In the months of June, July and August of 2016, we obliterated the program’s previous records for mortgages closed and have enjoyed sky-high metrics since launch. 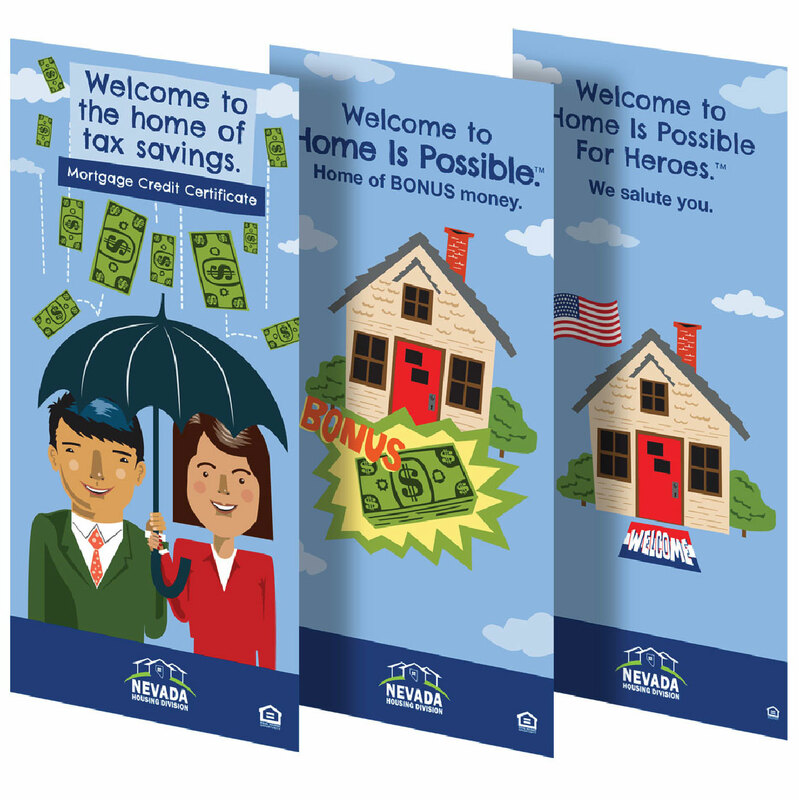 The campaign helped generate a 48% increase in sales from 2015 and has generated $2.1 billion in mortgages for the state of Nevada.